This time of year, Denali National Park in Alaska gets less than… – Sig Nordal, Jr. 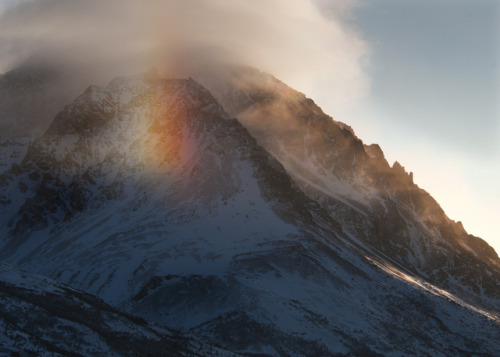 This time of year, Denali National Park in Alaska gets less than 6 hours of sunlight each day. The sun comes up around 10:30 a.m. and sets at 4:00 p.m. In the dark and cold, you quickly come to appreciate every streak of light across the sky and every moment of warmth on your skin. Still, there is beauty and spring is coming. Photo by Tim Rains, National Park Service.